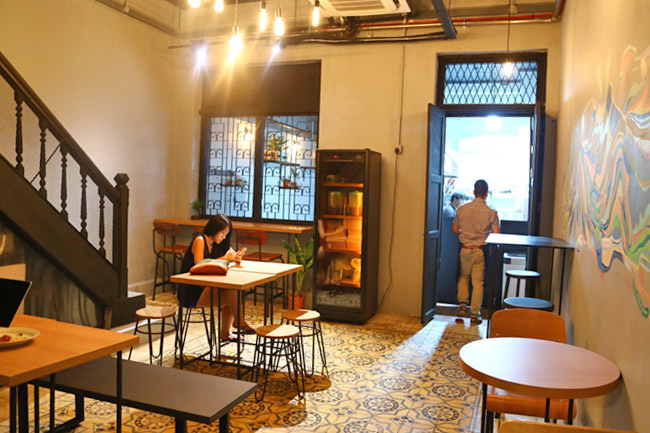 It is not surprising to see more cafes opening in a café-populated area at Jalan Besar. 20F, as their name implies, pays tribute to its address at 20 Foch Road, formerly a family-run clinic for 60 years. A modern concept in a traditional setting, an old-meets-new chic café with vintage floor tiles, metal window and door grills. The café is separated into 2 areas, with natural lighting pouring into the kitchen area and ambient lighting in the main dining area. Wooden tables and wooden stools, looking just like a coffee shop (an upscale version). Offerings are also varied and catered for the different times of the day. 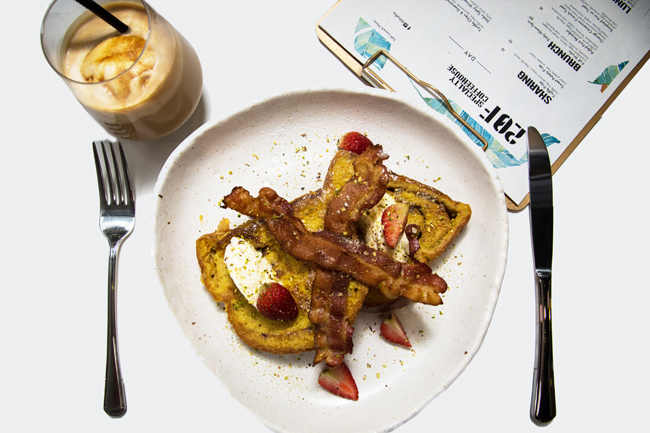 A pretty comprehensive menu is available, serving Brunch from 10am to 5pm, Lunch from 11am to 5pm and dinner from 5pm to 9pm. 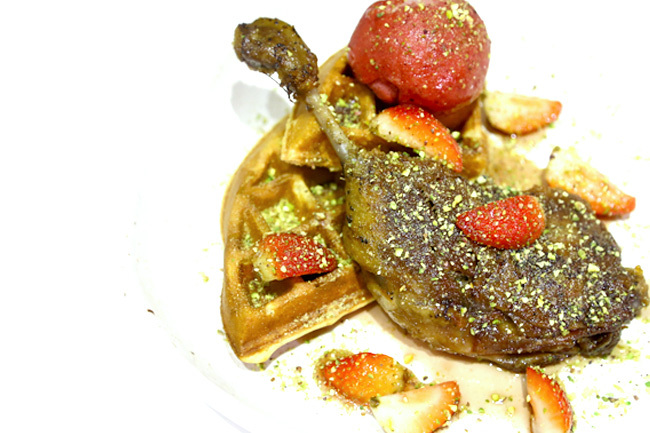 We observed something interesting about its offerings – there are many sweet and savoury combinations in their food. 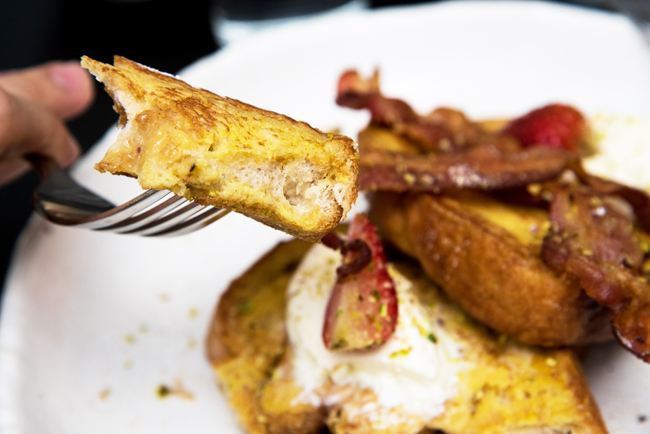 The Recommended dishes for the brunch menu include the Orange Cinnamon French Toast ($15), and Duck & Waffle ($22), Pulled Duck or Pork Flatbread with Fresh Guac ($17) for the lunch menu. 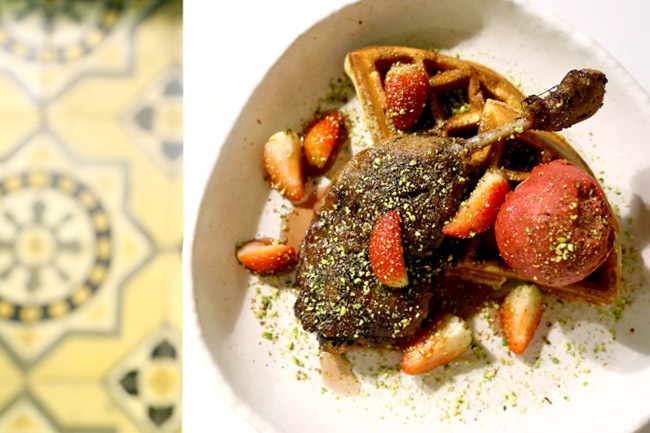 The Duck and Waffle ($22) is a spin-off of the Americanized Chicken and Waffles. We remember having something similar at PODI, which happens to be the supplier of 20F’s cakes. 20F’s version has additional elements – cool mixed berries sorbet and fresh strawberries. 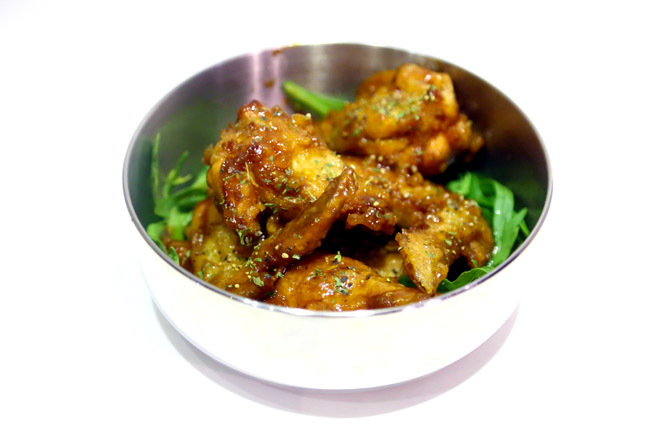 We liked the light crisp of the caramelised skin, and meat was rather fork-tender. The addition of a sharp tangy sorbet was distracting though, working almost like a sauce, yet tasted overpowering for most parts of it. Had to push that aside. Another less intense flavour would have worked better. Well, if you look at it from another perspective, it is almost like having a main, dessert plus sorbet together. 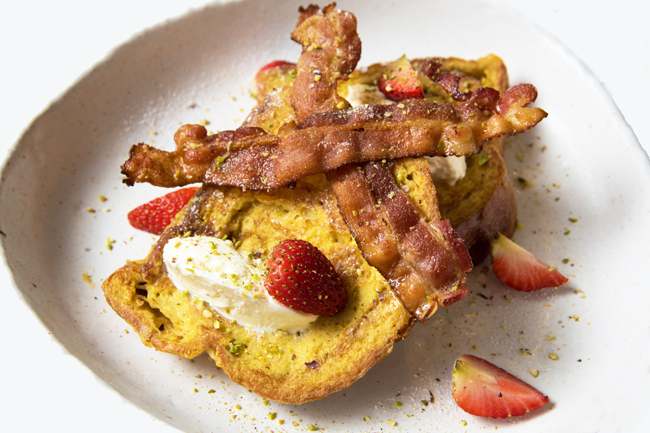 The sweet and savoury element surfaced once again with the Orange Cinnamon French Toast ($15), added with streaks of crispy bacons that tasted akin to our bak kwa. The orange jam was infused into the toast in a swirl-like manner instead of spreading on the top layer, and that kind of worked better. Loved the citrusy tang from the orange and the refreshing cinnamon, but the toast could be a tad dry without the maple syrup. 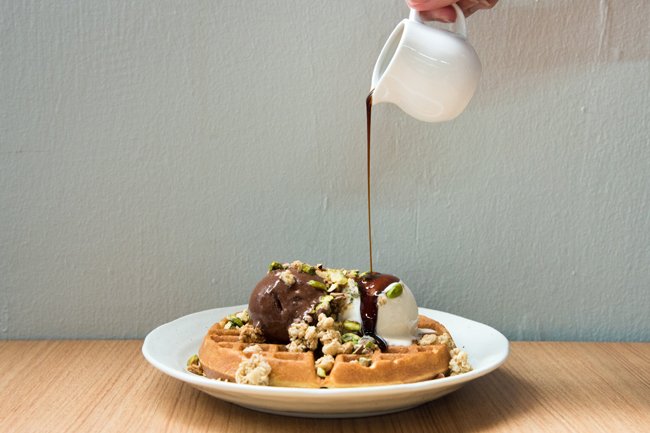 The Espresso Kahlua Waffle ($12) came with 2 scoops of vanilla icecream and dark chocolate sorbet, streusel (butter sugar crumbs) and pistachio. The texture was crispy on the outside and fluffy on the inside, except for the excess baking powder used, which left a stinging sensation on our tongues. 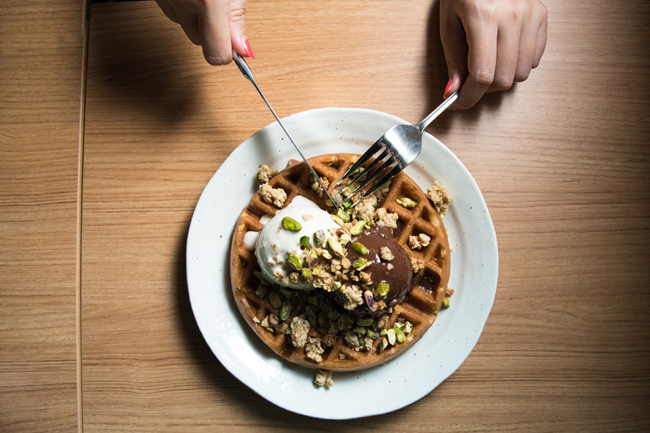 The unique point would be the espresso kahlua sauce instead of maple syrup and streusel which gave it an additional crunch. The coffee beans used here was from Liberty Coffee Speakeasy blend, with a medium body, cocoa, nutty tone and caramel finish. 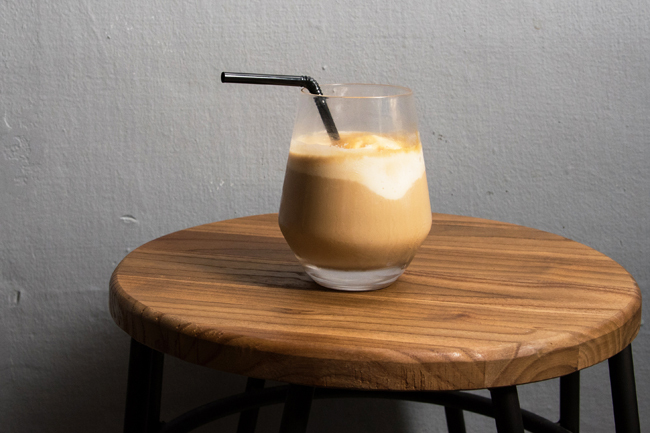 The 20F Iced Coffee ($6.50) may looked like any their Affogato ($6) with vanilla bean ice cream and espresso, but with additional fresh milk to make it richer. 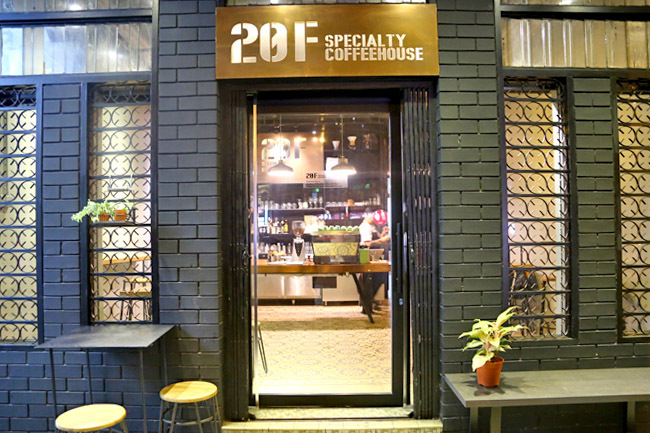 20F appears to be one of the more promising recent café openings, and provides an alternative to the Chye Seng Huats and Tiramisu Heroes in the vicinity. With that said, perhaps it is the late timing and already-populated location, 20F needs to do a lot more in engagement and taste to find a voice of its own. ← Smoothie House – The Famous Taipei Yong Kang St Mango Snowflake Ice Is Here In Singapore!